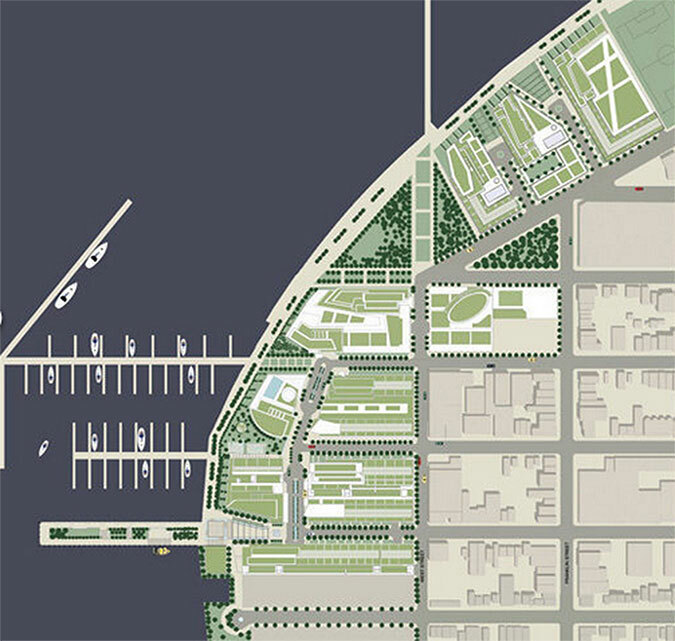 Handel Architects’ Design for Greenpoint Landing. 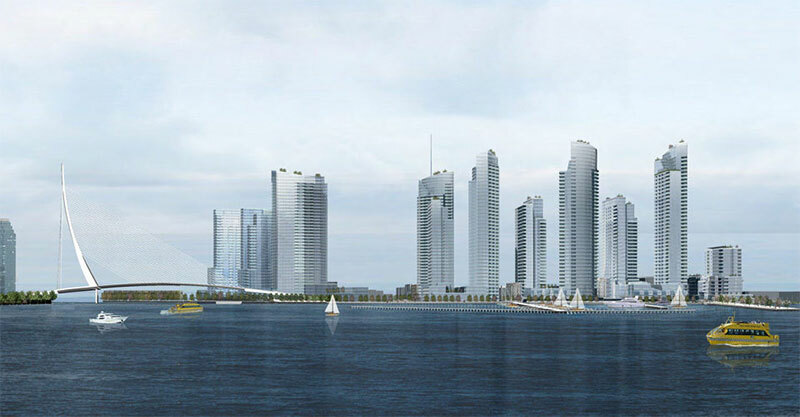 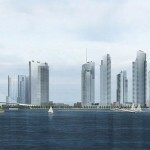 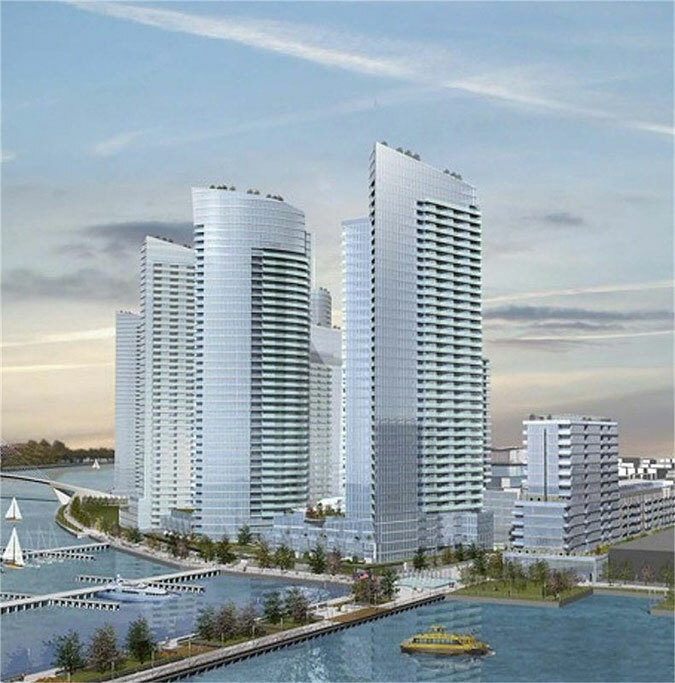 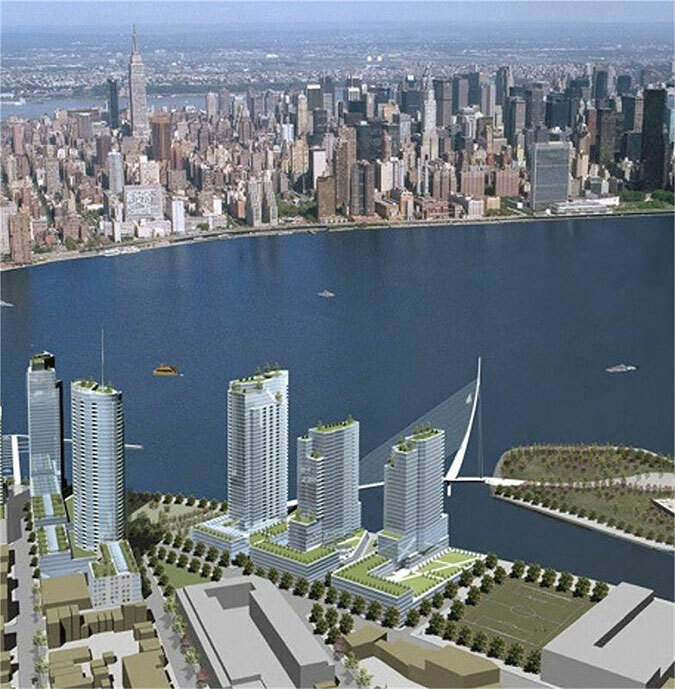 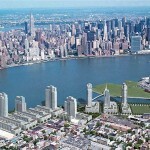 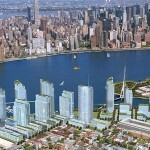 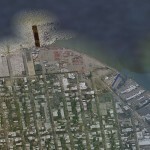 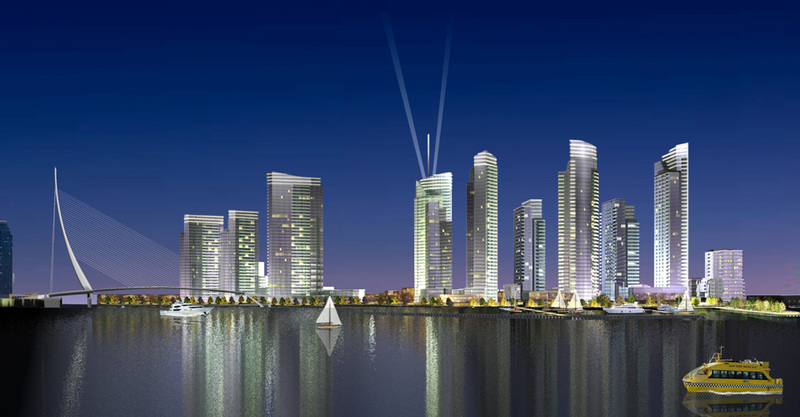 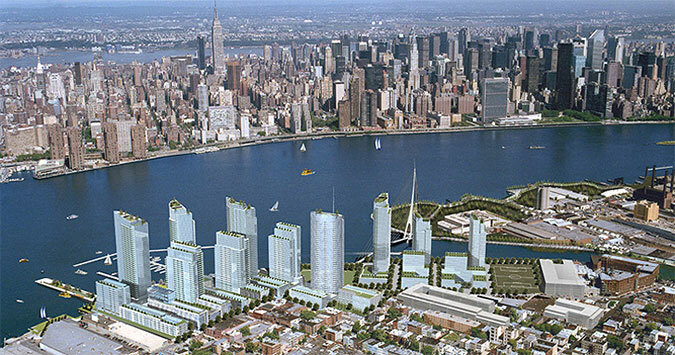 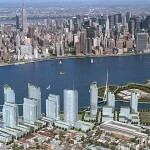 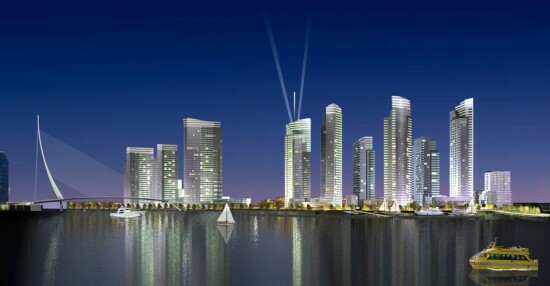 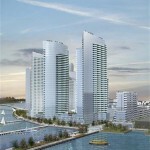 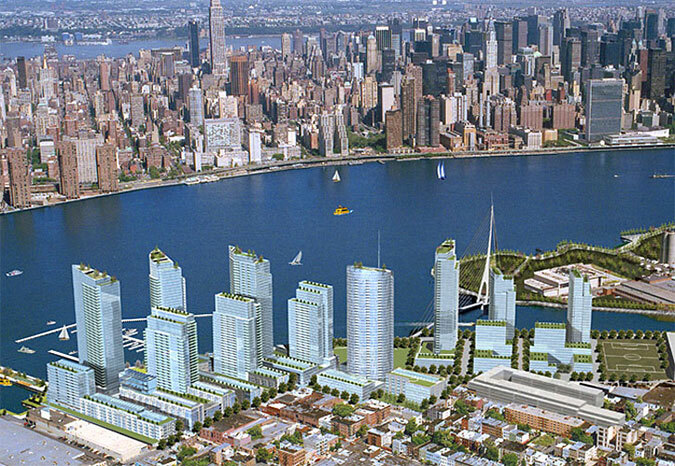 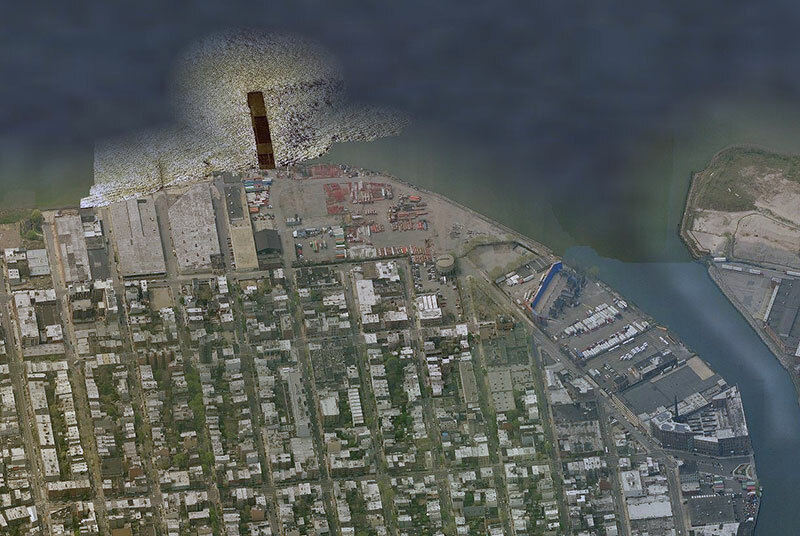 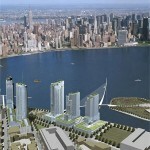 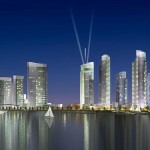 When it comes to waterfront development in New York City, there’s always a battle to be waged, and this time, it is over 22 acres near Newtown Creek in north Greenpoint, Brooklyn where developers, Park Tower Group, plan to break ground in the summer of 2013 to build Greenpoint Landing. 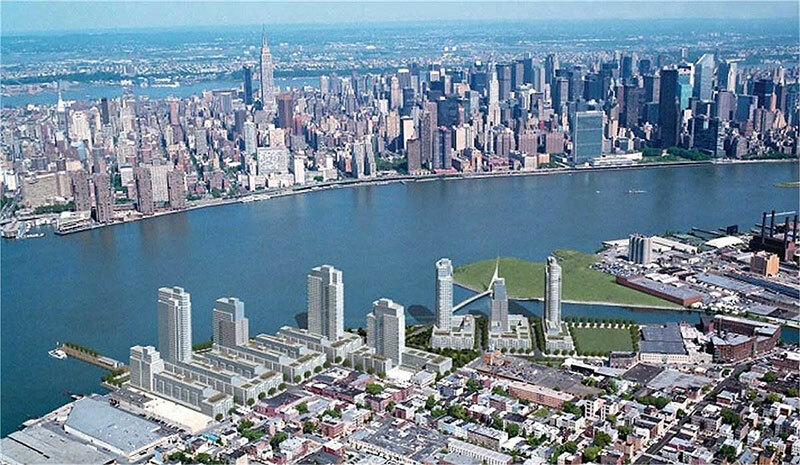 Curbed reported on Election Day last week that someone circulated a flyer protesting the development’s ten 30-to-40-story luxury residential towers to be designed by Handel Architects. 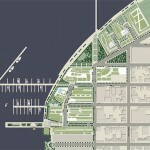 This protester’s main gripe is the scale and density of the project, which the flyers state is much larger than “most of the buildings average 5 stories” and doesn’t allow for much “green space.” But the plans for Greenpoint Landing are well on its way, and could include a pedestrian bridge by Santiago Calatrava.